How to find the iPhone calculator's hidden backspace button. 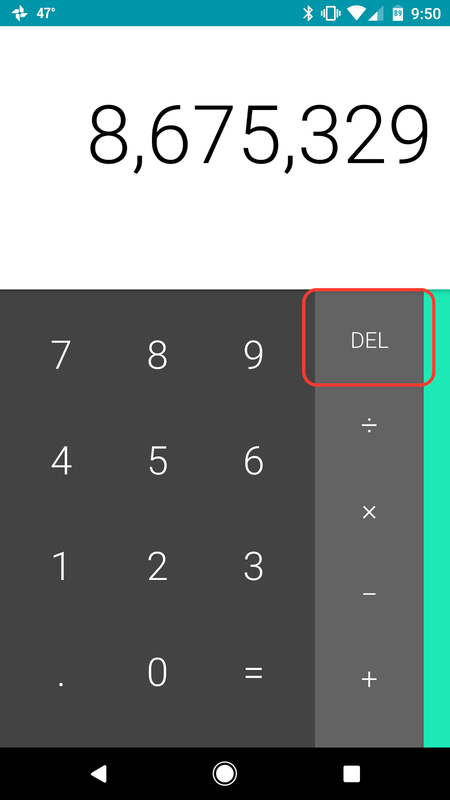 The secret: Swipe either direction across the numbers. Not the keypad numbers, but the numbers up top, in the black. Presto! One swipe removes the last number entered. Another swipe removes the next one. And so on. The secret: It's not a secret at all, it's right there as the DEL button.